Long before the advent the hospitals, clinics, health centers and other outside health care facilities, where did the people undertake treatment and care? Even with hospitals and clinics around, where do the people prefer to be treated and taken care of? Where is the trend going as far as the health care industry is concerned? The answer? It’s going home. Home is where health care began, and, not surprisingly, is where it has returned. If there’s a spot on earth where we are most comfortable of, it would be our home. For those who have yet to establish their own homes, you will soon understand it when you have one. It’s our nest, our source of comfort, strength, contentment and happiness. It’s where we recharge after a grueling day at the workplace by playing with the kids, the grandchildren or with the pets. Home is where your look forward to after retirement � the comfortable hammock hanging at the porch facing the mountains where you’ll spend time with a John Grisham thriller and a cup of red tea, the green Bermuda grass on the lawn where you step on with your bare feet every morning, or the vintage car staying idly in the garage waiting to be tinkered on, etc. The need to remain home gets more pronounced when we get sick, injured or get old. We cannot stress more categorically the benefits when a patient is treated at home. Familiarity with the place counts as the primary factor to consider. Some studies support that staying at home hastens the recovery of the patient from his illness or injury. The presence of the family, which is a big help in the patient’s recovery process, forms part of it. Secondly, it’s safer to remain home than to be transported to an outside facility. We don’t have control over what might happen while the patient is on transit. While at that, we are not saying that hospitals and clinics are a lost cause. They still maintain their usefulness and efficiency where home health care providers have their limits. 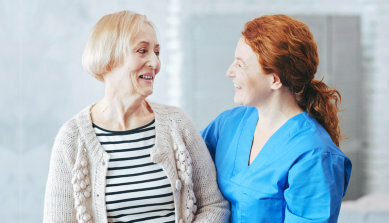 Our company, Dover Healthcare Services LLC, the truly compassionate Healthcare Services in McKinney, Texas, is here not only to satisfy your expectations but to exceed them. We may be relatively new in the industry but we come with passion, dedication and focus. Since its inception, it has been the policy of Dover Healthcare Services LLC, the tech-savvy Healthcare Services in McKinney, Texas, to provide efficient care services through the use of modern technology and a blend of human services to achieve our goal. Modesty aside, we are ahead of it and we continually train our staff to achieve the organizational objectives. To know more about us as a company as well as the various services that we offer, please visit the website of the Healthcare Services in McKinney, Texas at doverhealthcare.com. Or communicate with us through phone at 214-351-3360, or fax at 214-988-1488, or email at info@doverhealthcare.com. Please see us at the office of Dover Healthcare Services LLC at 2516 Shady Grove Lane, McKinney, Texas 75071 (view map & directions »). Home or hospital, which one would you prefer for your health care requirements? Please leave your comments on the space provided below.